If you’re aiming for a career in finance and the investment industry, this is a chance to hone your skills in a real-time trading environment. flat-screen TVs, to keep you updated on business developments worldwide. The facility is located on Level 0 of the Newton building, and it’s open to all of our economics students. Our Trading Room is one of the best in higher education, so come and put your skills to the test – we’re looking forward to meeting you. 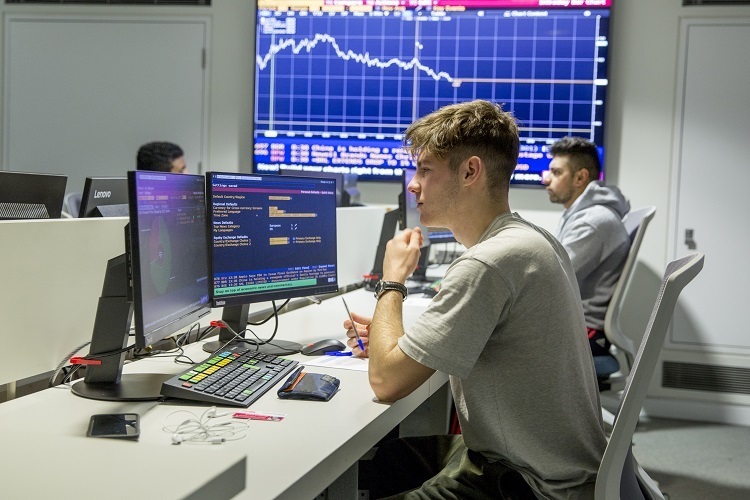 Benefits of the Trading Room include the practical experience you gain from being able to use industry technology, create stock portfolios, monitor their performance and use near live reporting to make quick fire, informed decisions.